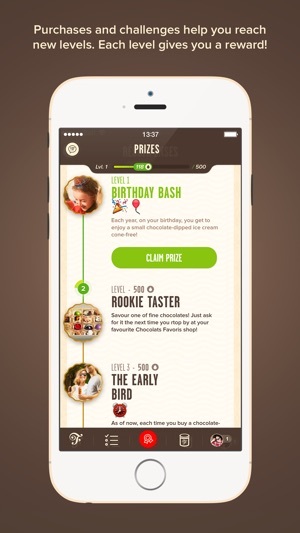 Chocolats Favoris is introducing a brand-new app that will enable you to earn points each time you make a purchase or complete a challenge. With your points, get rewards! 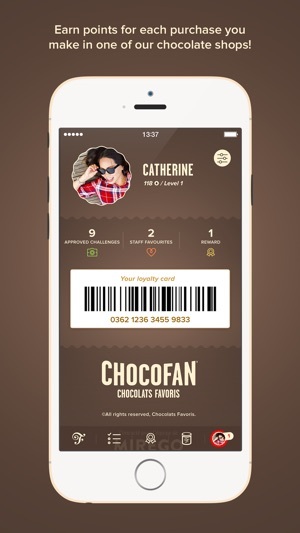 When you go to a Chocolats Favoris store, present your app and earn points for each purchase. 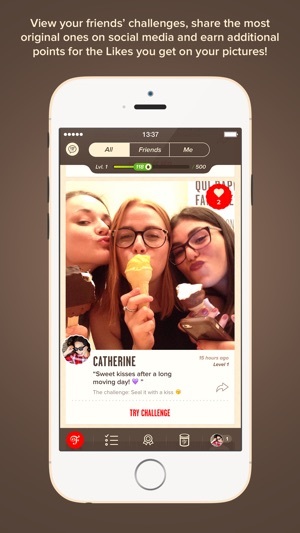 Cumulate even more points by completing fun challenges: the most amazing yoga pose featuring a chocolate-dipped ice cream cone, a group picture waiting in line at a Chocolats Favoris, your most beautiful pic of having some chocolate fondue while camping, and much more! Once we've approved your challenge, you'll receive your additional points! Check out your friends’ challenges, share the most original ones on Facebook or Instagram, and get even more points for each ""Like""! You can even earn bonus points if our team awards you a « Favorite"" badge! 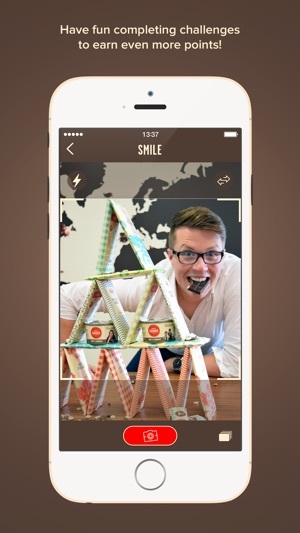 All of your points will enable you to access higher and higher levels in the app. Each level is associated with a reward that you can claim at one of our chocolate shops: a VIP tasting of all our new products, a free small chocolate-dipped ice cream cone, 2 for 1 on our chocolate fondues…Come on, become a ChocoFan! Serait plus pratique pour présenter la carte lors des achats. You cannot add the loyalty card to your apple wallet. Why not? Plusieurs de mes achats n’ont pas su être « scannés ». C’est dommage :(! © 2016 Les Chocolats Favoris inc.